I’m usually the first to knock Microsoft when they get things wrong – and they often do. 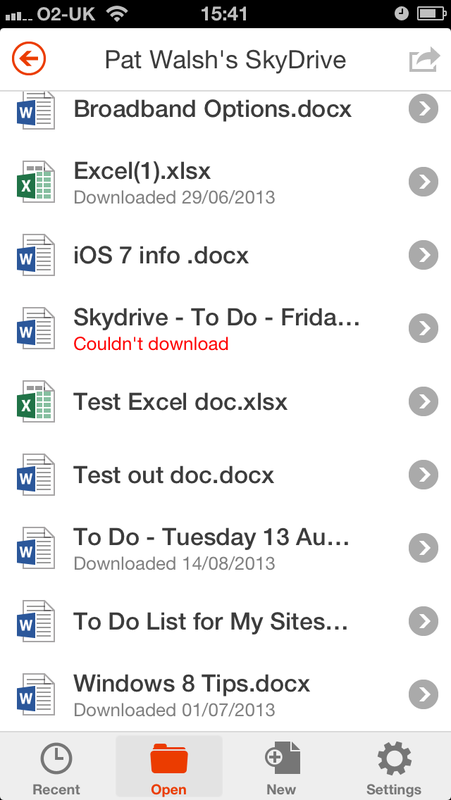 But having used Office 365 on iPhone and iPad, I must admit I’m quite impressed with both of these offerings. In both cases, you can edit Office documents in Word and Excel, obviously with limitations as to what you can do. 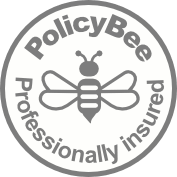 It’s great to be able to view a document you’ve been working on perhaps on your PC or iMac and then also make some alterations to the document. The documents you use need to be on SkyDrive, but that’s not really a problem. On the iPhone, you download and use the dedicated Office Mobile for iPhone app, whereas on the iPad, you use the Office Web Apps. More details and screenshots below. Office 365 subscribers can download this iPhone-only App from the App Store. This App allows you to access your SkyDrive and the documents contained in it. You can view / edit / create Word and Excel documents, plus others types I haven’t yet tried. With the smaller screen size of a phone, there are limitations, but its still useful for viewing info in documents and also to make small changes to existing documents. 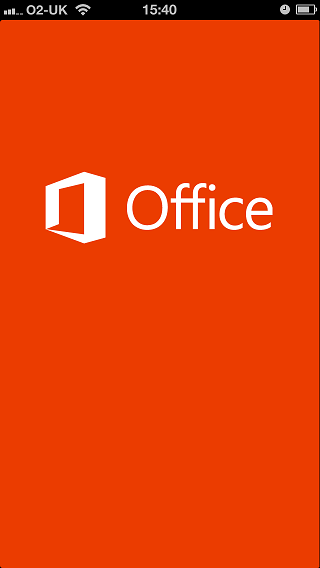 I’ve so far found it most useful for creating documents such as To Do lists, which I can create within the App and save to the SkyDrive and then pick up later on in the full Office 365. A dedicated iPad app isn’t available, instead Office Web Apps are used. 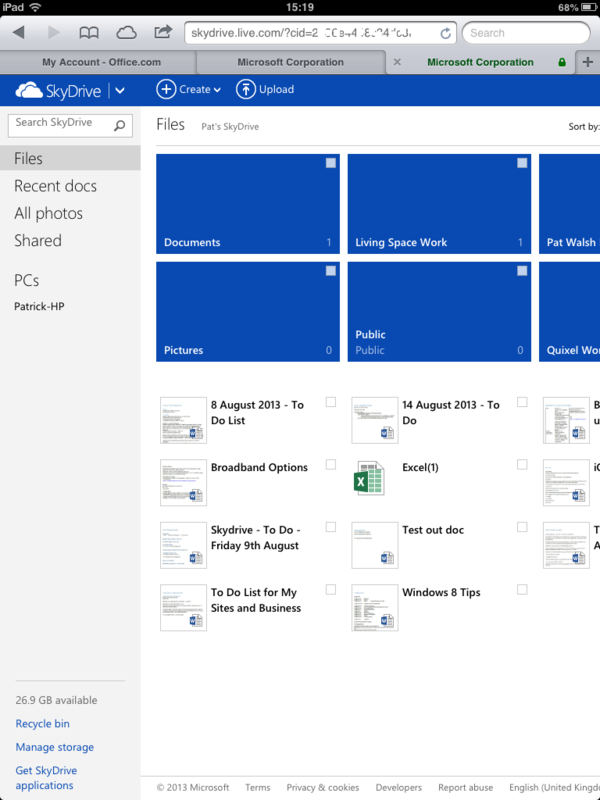 Once you’ve then started up and logged into SkyDrive, you then see a screen showing all your SkyDrive documents. You can select one of your existing documents or use the menu in top header to Create a new document. So far, I’ve used Word and Excel documents. 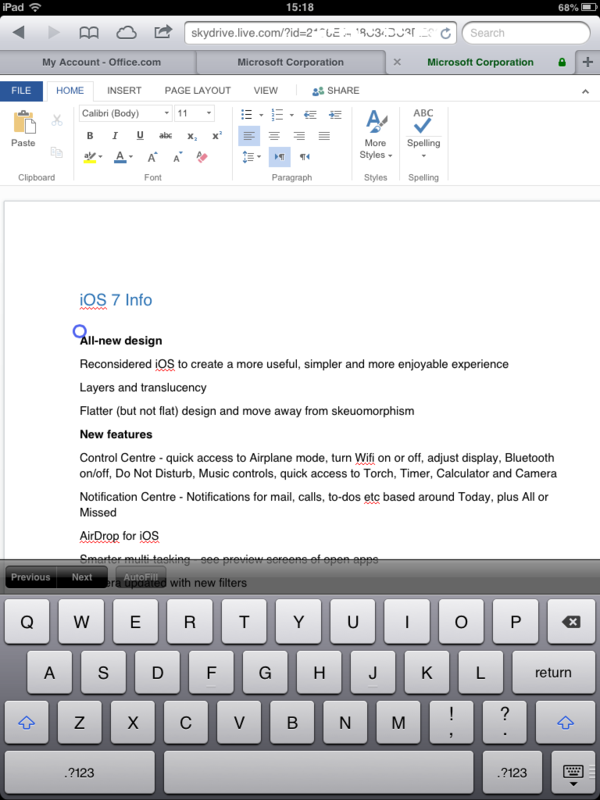 Opening a Word document starts up Word Web App, where you’ll see the current version of the Word doc displayed. You can then press ‘EDIT IN BROWSER’ to begin editing the Word document. 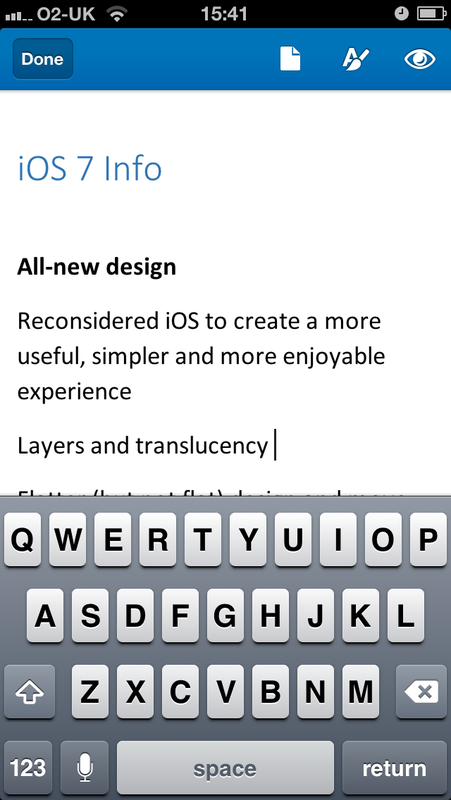 Once in editing mode, you can see a reasonably familiar top layer of menus and options along with your Word document. 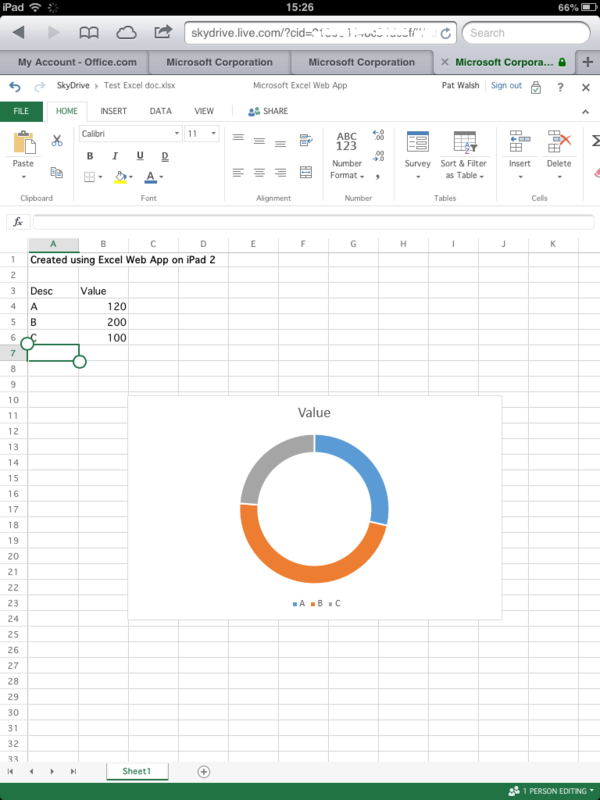 Opening an Excel document starts up Excel Web App, where you’ll see the current version of the Excel doc displayed. Again, like the Word Web App, there’s a a reasonably familiar top layer of menus and options along with your Excel document. Once editing is finished in either Web App, you can save your changes and then press SkyDrive in the top menu to head back to the SkyDrive main screen, from where you can select other docs to edit/view.